Agree that Lewis will get heavy minutes, whatever that means. Also, we have found that HS/Prep School stats don't translate directly to D1. Thatch shot 40%+ 3FG in HS his last year. He was 27% last season. Lewis has a career 36% 3FG shot in D1. That should translate better than HS/Prep -> D1. 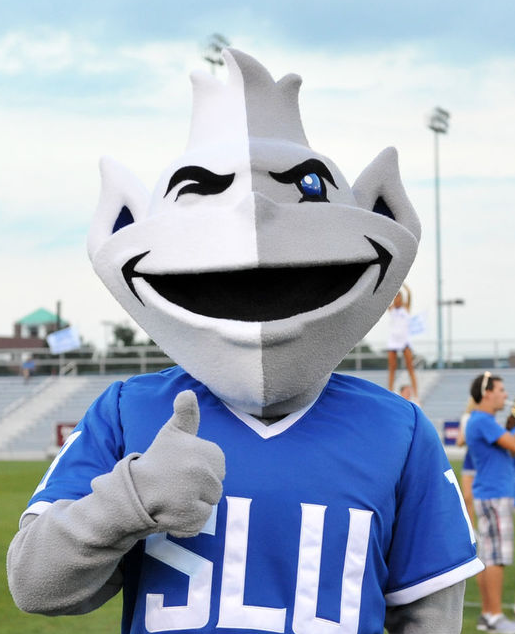 Name the last elite prep school shooter that came to SLU. I'll wait. Fred didn’t bring the ball up court because option #1 was a grad transfer, option #3 was a senior, and option #2 was Goodwin. He was not the tall center wheelman on the inbound play, so that all means he was the last option for most situations on the floor. Thatch got his playing time due to his defense, and spent the lions share of his time working on his defensive skills. He is quite capable of making similar improvements in his ball handling and his shooting. I wouldn’t expect his distribution skills to change markedly until he plays a couple years with good slashers and shooters- experience is the catalyst for change. Not at the 3, given our lack of depth at forward. I was just speculating on backcourt minutes, nothing in the front court. I’d guess he averages the most of any freshman, probably north of 20mpg. Let me understand Lewis's situation. If he gets a waiver he can be eligible come October and play the entire season and then is done? That basically makes him a GT. If he has to wait until January he gets a half season and then gets to play all of the '20-'21 season? Kind of prefer the latter scenario. Am I correct in both cases? He will join a backcourt that will include Jordan Goodwin, Fred Thatch Jr., Demarius Jacobs and incoming freshmen Yuri Collins and Gibson Jimerson. Or he doesn't get a waiver, redshirts next year because he can't play the entire season, and plays his final season in 20-21. Correct??? The article only said play all or second half next season. Did not say he is considering sitting a year. Preposterous if he were not to get a waiver after what happened for the dude at Mizzou...that was a huge stretch. If Lewis plays and we get at least one GT big, the entire starting lineup could foreseeable be upperclassmen....not saying Shaft or one of the freshman won’t start....but having such experience is what A10 champs and big dance teams are made of. Agreed. The only reason i mentioned it was his conversation with Frank on 590, saying he is looking to play a full year, whether it's this year or next. I thought IL supported Smith's request - how important that is to the process I don't know but I wonder if Nevada will be a problem?